The Eclipse Mouse is attracted to Gauntlet Cheese Tier 8. No Charms are required to attract the Eclipse Mouse. Though several power types are shown as very effective, Forgotten traps are the only effective weapons when hunting the Eclipse Mouse. Hunters can encounter the Eclipse Mouse only in the King's Gauntlet location when hunting in Tier 8. The Eclipse Mouse drops Ancient Relics as loot. Attraction info and special event loot drops for the Eclipse Mouse can be found at the individual event location pages. The Eclipse Mouse drops the Eclipse Egg during the annual Spring Egg Hunt. The "Stealth Mouse" in the 1 April 2010 news item was the silhouetted version of the Eclipse Mouse. 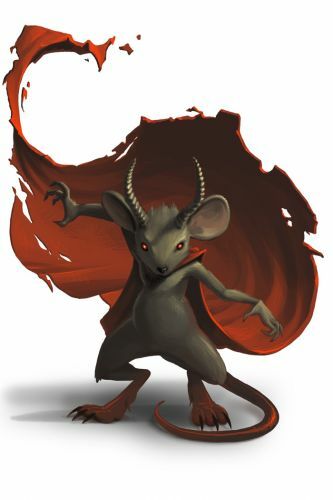 8 June 2010: The Eclipse Mouse was released with the introduction of the King's Gauntlet as part of the MouseHunt v3.0 update. 9 July 2010: The King granted permission to use the Gauntlet Potion Tier 8, allowing Hunters to access the Eclipse Mouse. 14 April 2011: The Eclipse Mouse began dropping a bonus Eclipse Egg as loot during the Spring Egg Hunt 2012 event. 29 August 2012: The Eclipse Mouse began dropping Ancient Relics as loot. This page was last edited on 19 February 2018, at 02:01.